The Order is an organization comprised of spiritually gifted men and woman that have been charged to cleanse the world of unholy abominations. They were brought together by Mary Magdalen and Peter after the death of Christ. Over the years, the Order has eliminated many evil threats determined to bring evil into and/or end the world. Their biggest threat to date is Chaos.Chaos is a group of evil beings that have set their sights on The Order. Lead by the children of The Vamperial, Chaos is dead set on getting revenge on The Order for killing Nefertiti, one of the original members of The Vamperial, in an apocalyptic battle. In order to end Chaos once and for all, The Order has recruited the help of Liam, a genetically altered pyrokinetic, Sari, a hunter that has more kills under her belt than any hunter in the world, Alaric, an Alpha werewolf from New Orleans, Gabriel, a Nephilim who is also the son of the archangel Michael, Acaleus, an immortal with the power of mental manipulation, and Erin, a cryokinetic assassin.Will The Order finally remove Chaos from the world or will Chaos take over? 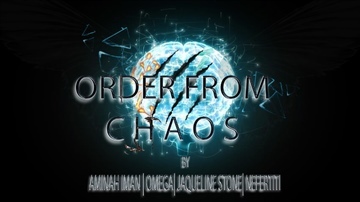 Find out in this eight series crossover book written by Aminah Iman, Omega, Jaqueline Stone, and Nefertiti. though Jacqueline lives a private life, her vibrant personality, and open mindedness is enough to keep you captivated and wanting to know more. 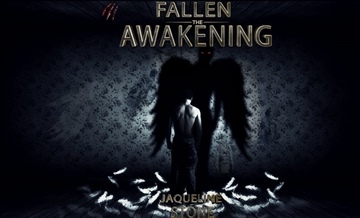 Jacqueline writes for the sake of writing. She looks at the skill as a way of not only keeping her sanity, but allowing her most craziest thoughts and imagination to come to life.